Big concert in Zheleznodorozhny city, Moscow district!!! One of the pioneers of pipe-music in Russia continue the concert tour: Great Highland and Small pipes, drum show, traditional Scottish classics, modern rock and a fusion, bright shows - all on one scene!!! Moscow & District Pipe Band participated at opening of the International festival of classical music "Musical summer in Kuzminki". The Annual festival of classical music "Musical summer in Kuzminki" is the revived tradition of concerts which owners of the estate in the first half of the XIX century in Musical pavilion arranged. 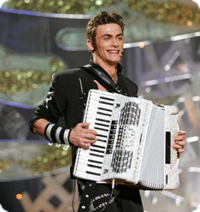 Traditionally, the best collectives from Russia and other countries (Lithuania, Belarus, Poland, Austria, Switzerland and Ukraine), whose history is connected with a nice surname of a princely family of Golitsyn, participate in a festival. 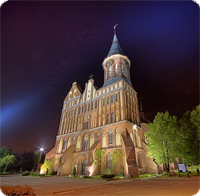 Venue: Moscow, Architectural and park complex of the XIX century, estate of princes of Golitsyn "Vlakhernsky-Kuzminki"
Moscow & District Pipe Band acted in on-line of translation of evening multiair of a portal of the "Vechern'aya Moskva" newspaper and gave a masterclass-concert at "Moskvichka" club meeting. 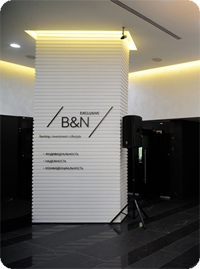 Moscow & District Pipe Band is invited to open client evening of B&N EXCLUSIVE. B&N EXCLUSIVE office for one evening changed and showed the best traditions of English style: fireplace, traditional leather chairs and sofas, live execution of the British musical compositions, refined buffet reception and tea drinking. Performance of Moscow & District Pipe Band who welcomed guests of B&N EXCLUSIVE on the Tverskaya str., in the center of Moscow, became one of the memorable points of action. 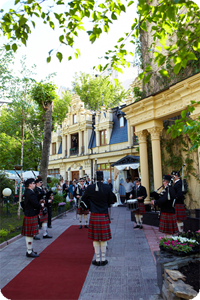 Moscow & District Pipe Band opened a wedding season 2013 in the Chenonceau hotel & restaurant located on "Patriarshiye" ponds, in one of the most picturesque places of Moscow. 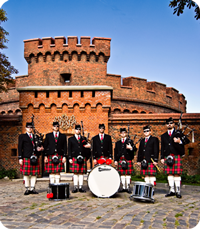 Since 2011 Moscow & District Pipe Band is the resident of wedding agency "Chenonceau" and accompanies one of the best and bright wedding ceremonies in Moscow. 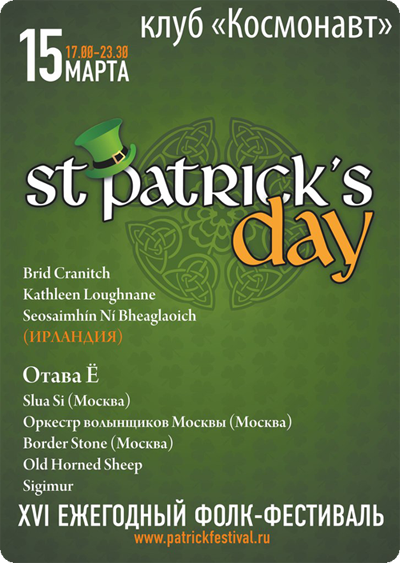 Moscow & District Pipe Band participated in festivities in SK Luzhniki dated for celebration of "Wide Shrovetide", and acted in the festive concert program in GСKZ Russia. Moscow & District Pipe Band took part in Peter Dranga's concert "Perspective..."
Guests: Alexandra Pakhmutova, Iosif Kobzon, Chuplan Khamatova, Eugeniy Mironov, Nadezhda Babkina, Valeria, Nikolay Baskov, Christine Orbakaite, Dima Bilan, Igor Boutman, Efim Shifrin and others. 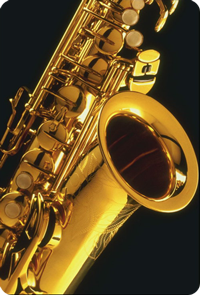 The concert took place in the state concert hall "Rossia" at Luzhniki stadium at 19:00. Moscow & District Pipe Band took part in the "Parade of the Bands" in Kaliningrad. The Parade was dedicated to the birthday of the city. 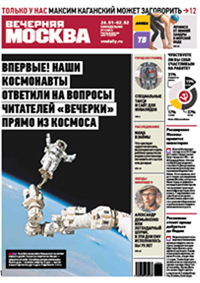 Moscow & District Pipe Band will take part in Moscow Military Tattoo "Spasskaya Bashnya". The best military bands of Russia, Kazakhstan, China, France, Israel, Great Britain, Italy and India will be presented at the festival. 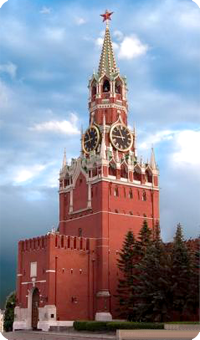 The event will take place on the Red Square, Moscow, 5-10 September 2009. Moscow & District Pipe Band is invited to open the seventh Moscow international festival of the music of the Russian manors “Dvoryanskie Sesony”. 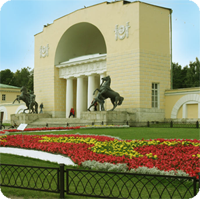 The event will take place in Kuzminki Park at 19:00. Moscow & District Pipe Band will take part in a concert of wind music "The Triumph of Orchestras". The event will take place in the House of Government of Russian Federation. Line up: Moscow & District Pipe Band, The Central Military Band of the Ministry of Defense of Russia, The Band of the Millitary Institute of Conductors, Governor’s Band of Moscow District, drummers show "Hummers". 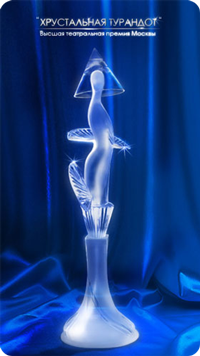 Moscow & District Pipe Band is invited to the 18-th ceremony of presentation of the Highest Theatrical Award "Crystal Turandot". The event will take place in Galina Vishnevskaya’s Opera Center. 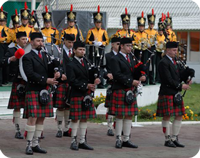 Moscow & District Pipe Band plays a concert dated to the upcoming military tattoo "Spasskaya Bashnya". 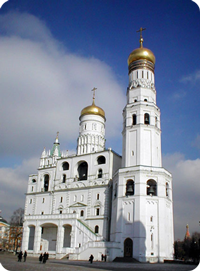 The event will take place on 20-th of June 2009 on the Cathedral Square of the Moscow Kremlin at 12:00. Moscow & District Pipe Band together with The Central Military Band of the Ministry of Defense of Russia will be opening a festival of wind music "Moscow wind seasons". 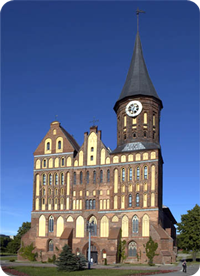 The event will take place on the 1st of May 2009 in the municipal garden "Hermitage" at 15:00. Moscow & District Pipe Band will play a beneficent concert in the Children's Haematology Oncology Centre in cooperation with Nastenka charity foundation. 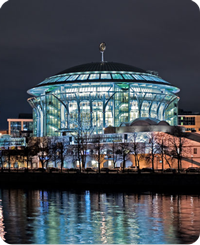 Moscow International House of Music, "The Heart of Scotland"
The concert will be performed by the best Russian artist collectives who address national heritage of Scotland in their art. They gathered together in order to show all the variety of culture of this magnificent country. The connection between Russia and Scotland has existed for centuries, and today it will be represented by Moscow & District Pipe Band and The Central Military Band of the Ministry of Defense of Russia together performing traditional melodies of Scotland and Russia. 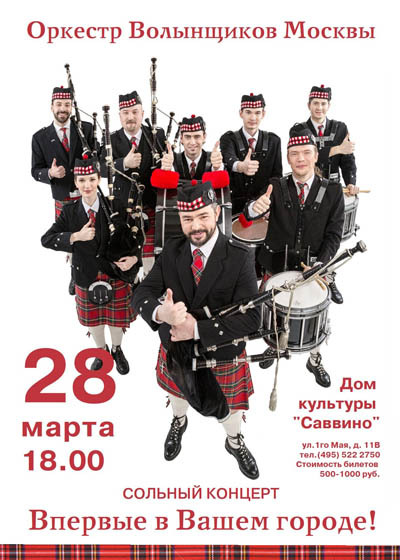 Vladimir Lazerson and "Celtic Consort"
Moscow & District Pipe Band is invited to play in a concert held by The Royal Bank of Scotland in the "Novaya Opera" theater in Moscow. Moscow & District Pipe Band – the first professional pipeband in Russia - offers you a demo performance and lectures dedicated to the following issues: Highland bagpipe, march drums - history, instrument assign, styles of play. Mikhail Yudin – Lead Drummer of Moscow & District Pipe Band. Venue: the ethno-cultural center "Indrikgrad", Moscow, 4th Syromyatnicheskiy per., 1, bld.6, territory of the Cultural center "Vinzavod". Moscow & District Pipe Band is invited to the welcome reception, for Mr. Jim Meyzor - the Member of Scottish Parliament, Minister of Enterprise, Power economy and Tourism. 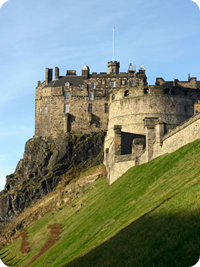 The event is conducted by: Scottish Development International (The Government Agency of Economic Development of Scotland), VisitScotland (Scottish Tourist Authority) and The Scottish Government. Venue - hotel "Ritz-Carlton". Moscow & District Pipe Band is invited to participate in the parade of military brass bands, which will follow along the main streets of Kaliningrad. The procession is dedicated to the Day of Kaliningrad (historical name of the city is K"onigsberg). International Bagpipe Festival "Piping Live!" 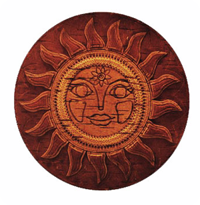 will take place in Glasgow on August 11-17, 2008. Dozens of pipers and pipe bands from different countries will come to the festival. They will give concerts not only in the National Bagpipe Center (the main playground of the festival), but also in the numerous pubs, clubs and simply in the streets. Besides the concerts in the program of the festival there are lectures and excursions, dedicated to the history of bagpipe, and also master classes on piping. Moscow & District Pipe Band will participate in the solemn procession, devoted to the Russia Day celebration, which will take place in Krasnoyarsk. 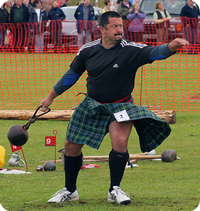 Moscow & District Pipe Band is invited to the Highland Games in Saratov. March along the main street of the city and sounds of Highland Bagpipe will become a surprise for inhabitants of Saratov. Moscow & District Pipe Band will give a concert within the scope of Moscow Municipal Festival of Wind Music "Moscow Band Seasons"f. The event will take place on May 1, 2008 in the Moscow city park "Hermitage". The program starts at 15:00. Moscow & District Pipe Band is invited to the presentation of the new Jaguar XF. The presentation is carried out by TK "Arteks" – the official dealership of Jaguar and Land Rover in Russia. 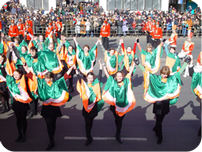 Moscow & District Pipe Band will participate in the St. Patrick’s Day parade. The event starts at 13:00 Moscow time. Procession will follow along Noviy Arbat street - from the City Hall building towards the Kremlin. The opening of the Moscow & District Pipe Band website.